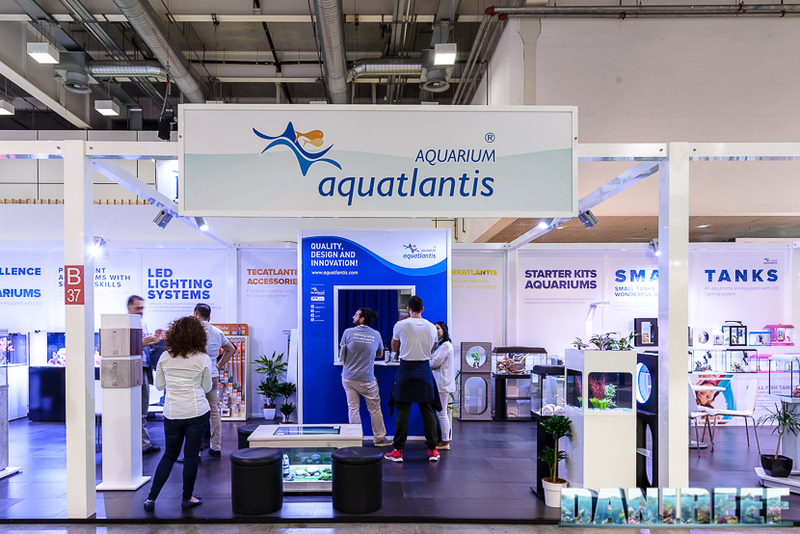 Fun fact: the beautiful Aquatlantis booth was in the same location at the Zoomark exhibition two years ago! 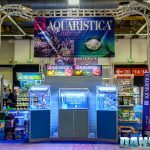 Aquarium Aquatlantis (its full name), was founded in Portugallo in 1996. , and has always been focused on cutting-edge design. 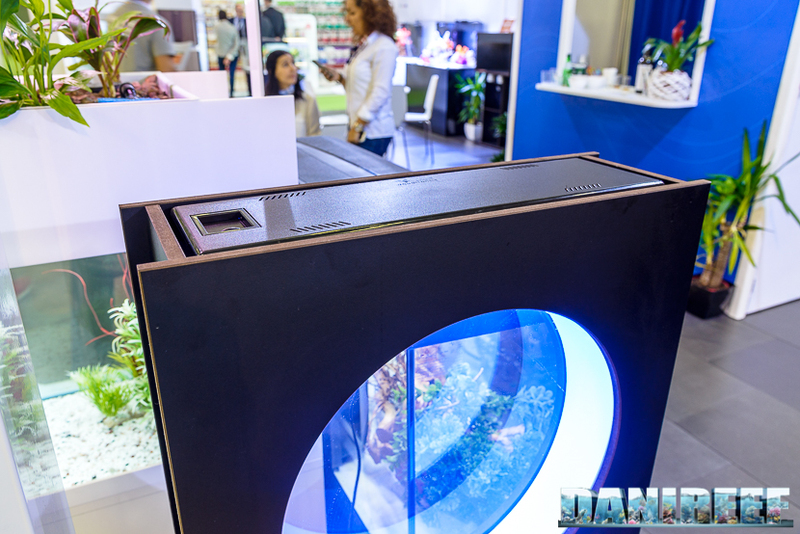 The company builds aquariums and terrariums, as well as external filters for both marine and fresh water, fornitures, and ceiling lights, both T5 and LED. It also installs systems and equipment for commercial businesses and stores. 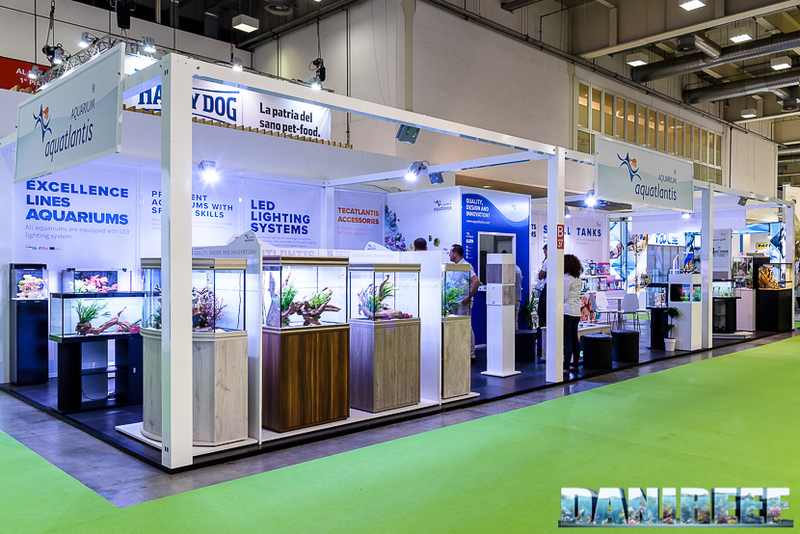 At the event his year, they showcased their aquariums with no water, which meant that there was no need to move the animals for just a few days and to prepare aquariums that weren’t the target of the exhibition. It was a great decision, when considering ecology and biosustainability. But let’s take a look at the news of 2017. 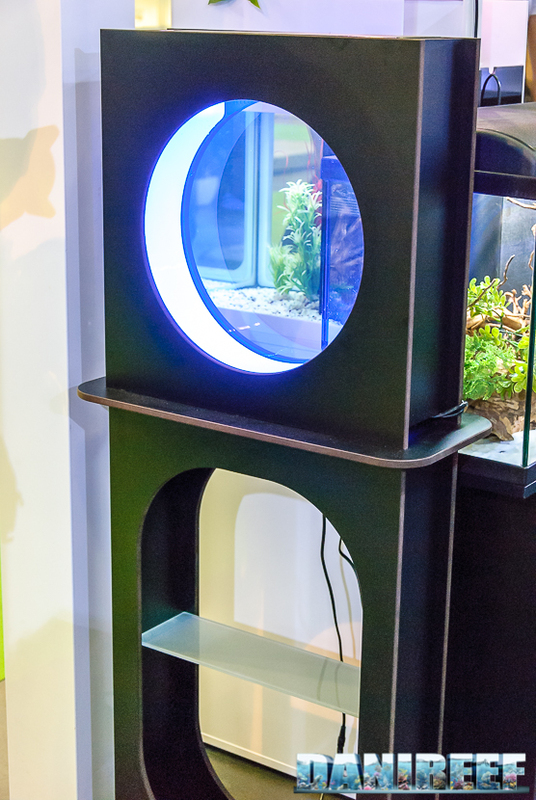 The first object that Aquatlantis showed us was a prototype of a jellyfish aquarium, and this kind of product was very much in line with the focus of the Zoomark exhibition. 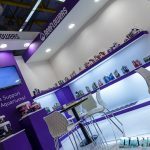 In fact, when deciding what to display, they collected the opinions from several shopkeepers to see if they would be interested in something like that. 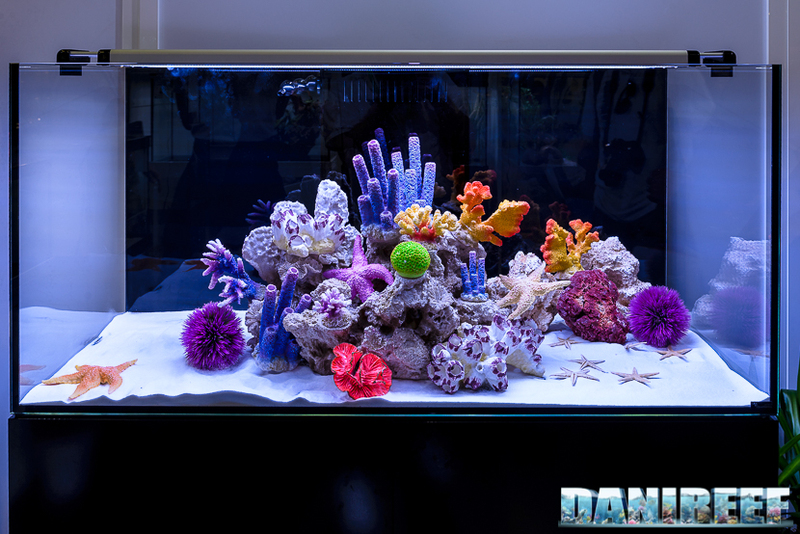 In these pictures you can see the jellyfish aquarium. It has an opening on the top for maintenance and inspections, and a central round window on the front and back. 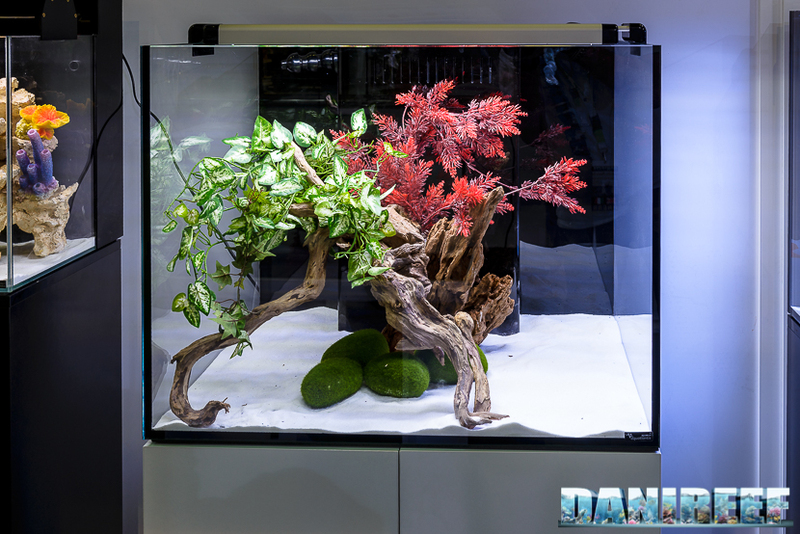 The aquarium is tall and not very wide, which was a design choice to help the aquarium fit into almost any interior. 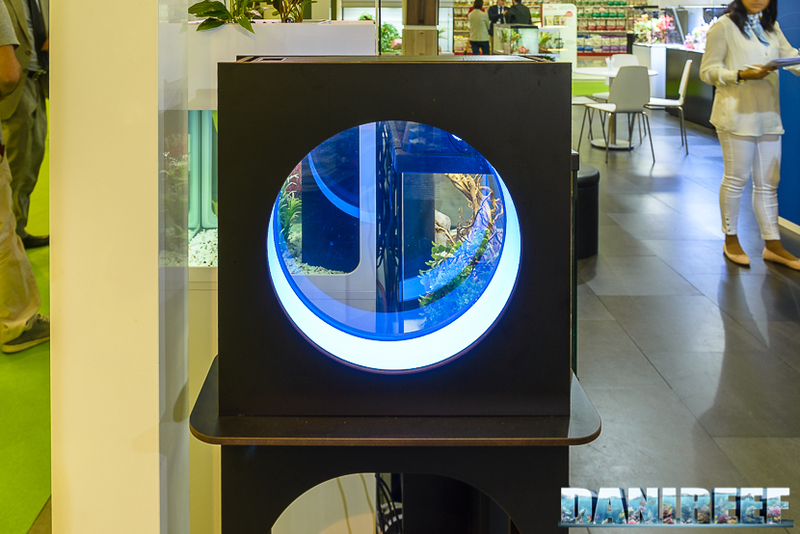 The round window isn’t just an aesthetic choice; it helps to create that circular motion that is needed by jellyfish to survive. We liked them, even if we’d prefer lighter or brighter colors. 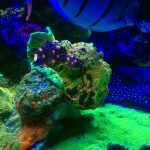 However, the jellyfish market has been steadily growing, so it’s a brilliant choice to create the right aquariums for this branch of the aquarium hobby world. 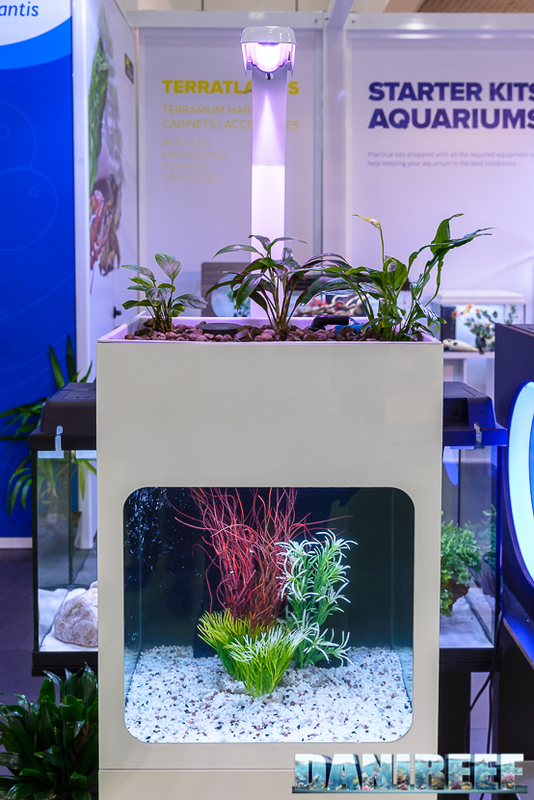 Another prototype is this tiny aquarium with a planting area on the top. This is a very nice idea, and we’re sure that it will find plenty of customers, even though we’re not attracted by this solution. 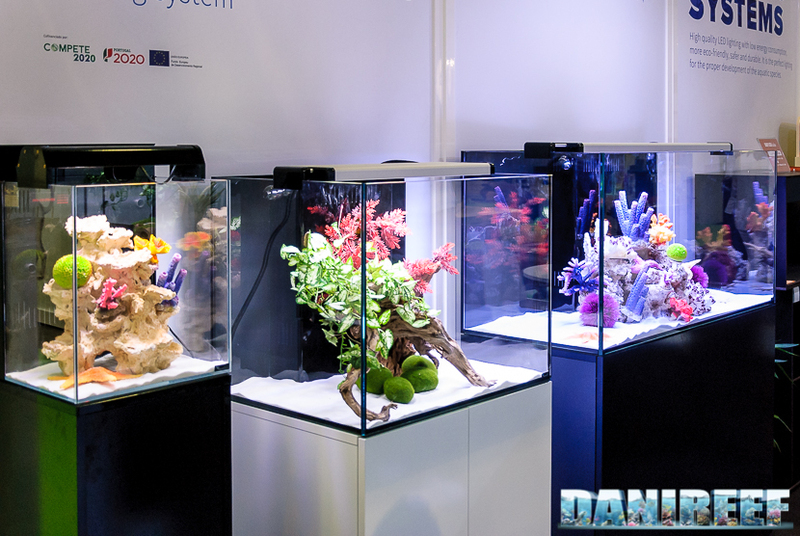 There were very beautiful aquariums with Easy Led bars, of which we spoke about when reviewing Zoomark 2015. Their construction is always of the highest quality. The furniture has simple and clean lines, and the silicone seals seem excellent. 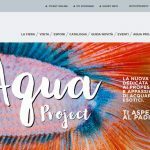 If you want to know more about Aquatlantis and its products we invite you to visit the homepage through the link below. 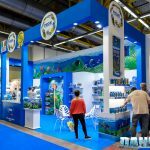 As always, we remind you of our Editorial if you want to know more about the Zoomark 2017 exhibition.